This MOLLE rig from Bulle is available in Olive as well as tan and I would strongly reccommend it to any beginner to airsofting. In comparison to other vests on the market, the Recon Chest Harness is an excellent choice. Of course made from Cordura, I'm presuming 1000D, you can rest assured this will not break on you, and isn't a cheap China-soft "knock-off". As the title suggests, it's primarily intended for a lightweight reconaissance loadout, as with the idea behind MOLLE you can completely customise your vest to personal preference. Therefore, you can do away with unwanted pouches and only attach the ones you need, making the platform very adaptable. On this particular product, not only is there plenty of webbing all around the rig, but two huge inner pockets. In addition, the flap in which you would usually mount an admin pouch can be tucked into the vest when not in use, and secured by two press studs. Needless to say, consider purchasing some pouches along with your tactical vest / chest rig / harness for your magazines and additional equipment such as grenades or ammunition. I'd reccommend airsoft-club for pouches, as although everything is Chinese-made, it's generally pretty good and a good price. (Remember you've got to pay quite a lot for shipping) Delivery times are long however, some packages will take over two weeks to be delivered, so bear that in mind. Alternatively, you could get a triple STANAG or MP5 magazine pouch (or other obviously) from Flecktarn.co.uk (where I purchased my harness) It's more expensive but their delivery is absolutely great and overall in general you'll receive superb service. I also bought a Bulle Olive Admin Pouch, which I might also do a review of. I'm sorry if this review wasn't great as I've haven't done a lot of writing other reviews or anything recently but as aforementioned I'd like to recommend to anybody, especially beginner airsofters looking for a great value rig for their loadout. Spot on brother! I'm new to the scene and I have been looking at this for over a week. I have been looking at flecktarn.co.uk, I'm after the tan version was going to add the admin pouch,2x frag, utility, 2x 4 mag's and hydration on the back. It's versatile like you said and can switch out for what ever you want will be looking at MP5 and M4 when I get my UKARA. So will be easy enough to swap about,will give the site you mentioned a look at. Delivery looks to be there downfall though. 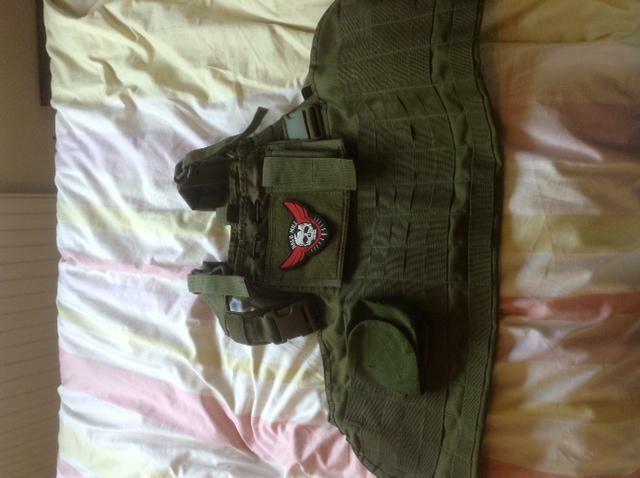 I wrote this review quite a while ago, and nowadays I have to say I'm more inclined to going for proper mil-spec pouches rather than anything cheap from airsoft-club. It's still quite a good website, but if you have a look around on eBay / Flecktarn etc, you could find some very nice stuff and still not have to pay too much. I would strongly recommend UKTactical too. They also has a sale on at the moment for Warrior Assault Systems pouches, which are all real mil-spec quality. Will no doubt last you ages if you are prepared to pay a bit more for them. Actually...that said, I got a WAS triple magazine pouch in the sale for £12.50 posted and that's still a lot cheaper than airsoft brand ones would cost. I hear that, will check it out went on UK tactical a few weeks back. If i want mil-spec will just get it my cousin's. 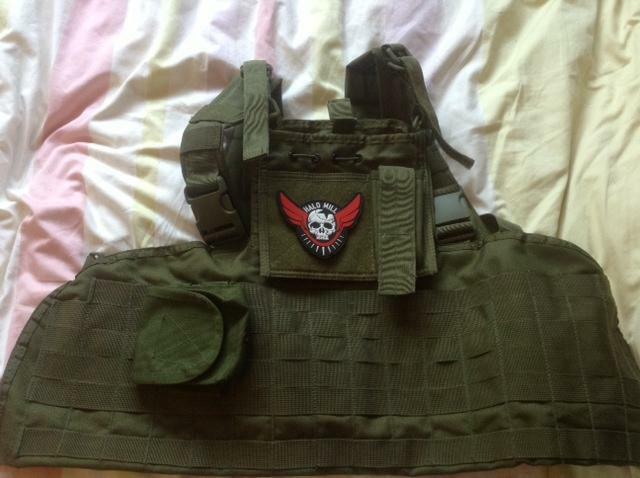 Want the MTP osprey plate carrier once I get into things only just started out so keeping it simple with the rig/set up from flecktarn. Are you into milsim then? Sorry I didn't reply, it seems I don't get notifications of comments on threads. I know it's been ages but I thought I should reply anyway. Well I like that it should last you ages, and I remember someone on here said 'Buy cheap buy twice' I think it is a rule that applies pretty well to both gear and guns in airsoft. I don't think I would ever go out and spend, say £300 on some genuine Crye Precision stuff, for example, but I would pay the extra for a good brand like WAS rather than get something like Condor or Mil-Tec.